More a cafe / restaurant than strictly a coffee shop, it’s a friendly little place with about 10 tables inside, and half that number outside in a small patio overlooking the famous square. It appears to offer Caffe Vergnano coffee but I found it disappointingly weak. Not unpleasant, just not brilliant. Ah well – the good food at decent prices made up for it. 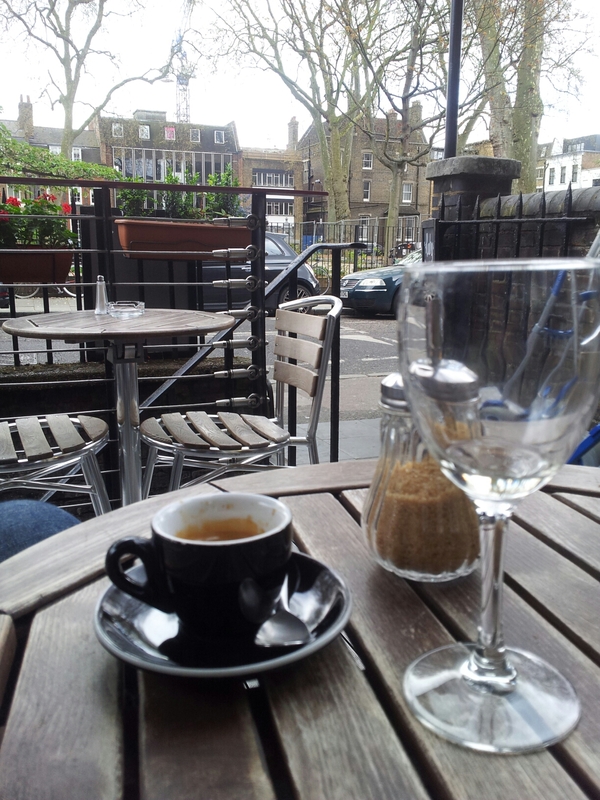 Posted on April 5, 2014 October 11, 2015 by espressolovinPosted in East LondonTagged coffee shops & cafes, Hoxton.